Whether it is a resort, a breakfast, or a bed that you would be willing to promote to help people visit places such as London, New York or Rome, or it is an agency, which books travelling tickets, you require a fully fledged tourism website for promoting your travel agency. Websites are more informative than they seem, so it would be recommended to design a dynamic website that engages you with your clients. For promoting your tourism business effectively, you need to promote a website that is visually appealing and enchanting. The first and the foremost important thing for creating a dazzling tourism website are to create a fantastic landing page that catches the attention of viewers within a glance. 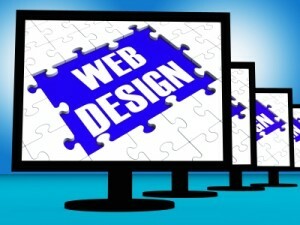 It should have great functionalities that connect your website visitors to internal pages. If your tourism business is engaged in providing charter boats, you can display images of beautiful waves and photos of oceans. If you are running a spa you can provide photos of relaxing waterfalls or tranquil pool. For making tourism attractive and exciting, you should append beautiful pictures of sceneries like mountains, seas and enchanting monuments. This would excite your website visitors to avail services from you for visiting these beautiful areas. If you are a specialist in touring people to specific cities, you can compliment your videos with pictures. If you are indulged in a lodging business you can display videos and photos that reveal your professionalism and amenities. A beautiful and simple website will work best for your tourism business, as it will enable the audience to understand the services you are offering. So, the content should be written in a simple language, so that even the average people will be able to understand your offerings. If your business is engaged in providing travelling services or it has a specialty in providing European vacations then you can provide the weather information, currency exchanging rates and any other important statistics that would be needed. If your tourism business is partnering with a particular hotel chain or an airline then you can provide some vital links to their websites. If any of the restaurants are offering are offering discounts for your clients then you can facilitate them with a coupon. Your tourism website should contain links that would take visitors to your Twitter page, Facebook page and any other online marketing platforms that can be used for communicating with your clients and guests. This will reveal the amount of expertise you have to deliver better than the best tourism services. For this you need to update your blog section at least once in a week. If you are engaged in tourism business, you should build the website in such a way that it should entice and excite the audience. For making it attractive you should add images of beautiful monuments and serene sceneries. So, one of the best option for you is to employ a company like Quick innovations that has a specialty in designing sophisticated tourism websites. If you create a highly functional and attractive website, believe me your business website will fetch you more business than your physical store.